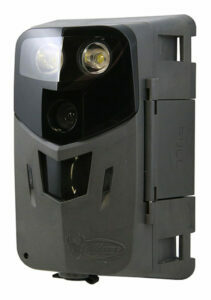 The Wild Game Innovations Razor X6 is a fresher offering in the market for trail cameras. Because of this, it is still unknown to many. However, this surely is a stand-out because of the features it brings. It has a lot to offer, wrapped in a small package and tied with an affordable price. Despite its size, the Wild Game Innovations Razor X6 is packed with features. This camera has an anti-blur technology, making it produce excellent quality daytime photos. Pictures may be blurry at night, but the same can be said for other trail cameras. This little camera also has a quick trigger feature. It can capture movements and speed of things and objects. It also has an ability take time lapse photos and videos. Now, you can view the entire field in just a few minutes. The range of this camera is pretty good, despite the other claims that it will not take pictures at a 50 ft. range. Flash range is up to 60 ft.
All of these fantastic features come in a budget-friendly camera. It is not expensive, but it offers a lot in a small package. There is really no need to look further as all you need is right here in Wild Game Innovations Razor X6. If you don’t mind paying more for a slightly better quality camera, you can consider the Moultrie M1100i review or the M990i.